For some reason, summer became at par with the words beach, pool, vacation, adventure and the list could go on depending on who would write it down. As for me, summer is everything and it could take you everywhere. So let me give you a list of those places you might want to visit if you are from Cebu or if you are planning to visit Cebu. These places on this list are located south of Cebu. Travel time runs at least 30 mins to 5 hours from Cebu City. It would depend on your mode of transportation : if you have a private ride or you are more adventurous (has a lot of time to spend) and decided to take a bus. A few places are possible to reach via cab or even the public transport, but for some, better just hop on a bus at the south bus terminal and your good to go. I have photos and you might want to click on them to check further details about the place or to see their Facebook pages (if I can locate one for the place). 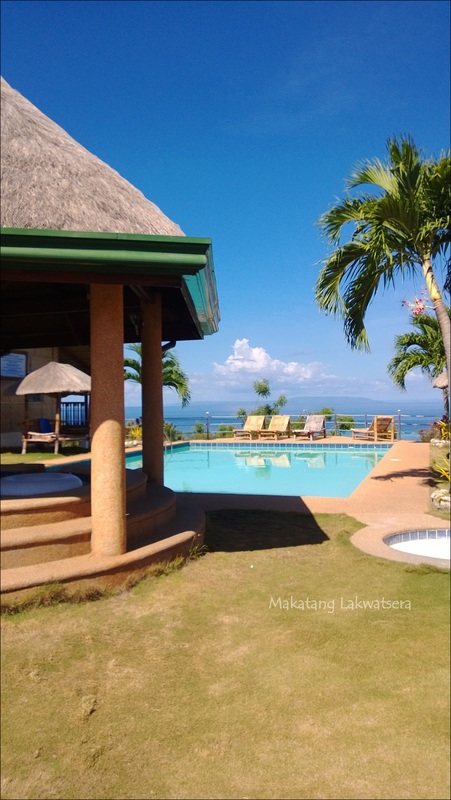 Talisay has couple of resort and it is very accessible from Cebu City. If you are planning to have an exclusive pool party or event with limited guest, I suggest you check Circa La Playa Resort. But If you are planning to have a big event, a reunion or you just want to take a dip with your group of friends, you can take a pick from the other three resorts. Above is a photo of a pool at Tubod Flowing waters.The resort has many facilities such as basket ball court, massage Rx ( that’s what they call it), butterfly sanctuary and the last time I went there, they have a bird sanctuary. Overnight and day use are available. 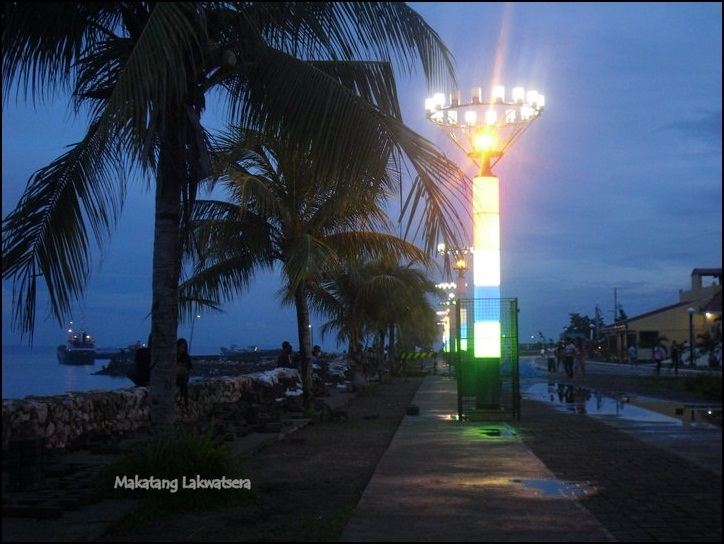 Naga’s Baywalk has become a favorite spot for a lot of locals and from those nearby municipalities. I should know, I go there a lot. You can have picnic with friends, do some jogging around the area, have a drink or eat from the food stalls – there’s just so many things to do around the Baywalk. There is even a badminton area! If you are from Pangdan,Naga or anywhere nearby Pangdan, and you wanted to have a weekend pool party, you don’t really have to go to other towns to set it up. There is this place called Villa Dulce. It is a resort with two swimming pools surrounded by the beautiful mountain view that stands across where the resort sits. Recently, swimming pools and beach resorts are opening around San Fernando. As far as I am concerned, there used to be 3: Pulchra Resort, Villa-Man Beach Resort (the public beach resort in the area) and the Hidden Paradise Mountain Resort. If you want to see the largest market of LECHON, you would want to visit Carcar. I mean, literally. It is like a wet market but what you’ll see are those large (and I mean really BIG) whole roasted pork. As owners and vendors shout at you to try their lechon, they give you samples. I don’t know if they do it everyday, but when I visited the market, almost everyone was letting us have a taste of their specialty. Carcar is also well known for their chicharon (pork cracklings), ampao and those sweet and colored bukayo. You’ll know you’ve reached Carcar if you pass by the Rotunda. You would see people selling Carcar’s delicacies nearby so you don’t have to worry about your pasalubongs. I know I should have a better photo to show you than this. I can’t find my set of files for this specific place. But of course I can’t skip this one. 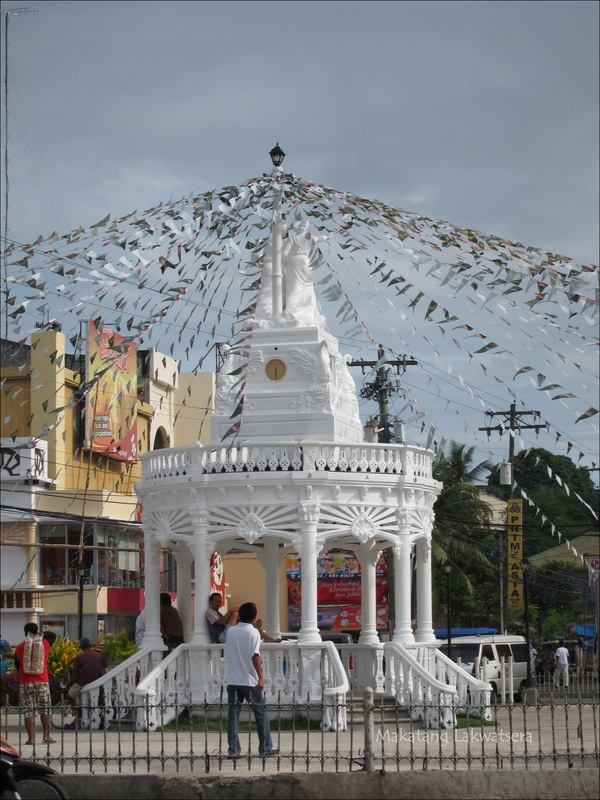 Sibunga is the home of the Birhen ng Simala or Mary of Simala. 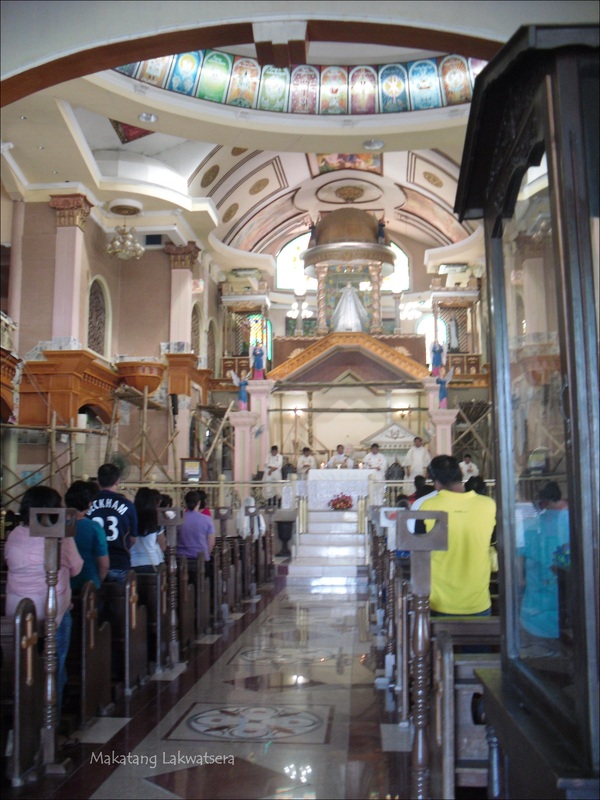 Specifically located at Lingdongon, Sibunga, the Church of Simala sits on top of a mountain where people visit to see the miraculous figure of the Virgin Mary. Inside the church you will see the numerous thank you notes, books, photos, crutches, wheel chairs and so many things to express gratitude by devotees to Mother Mary. I myself left a certain book a week after I passed the board exam. People line up, and usually overflows the church – specially on Mary’s feast days, to pray, give thanks and ask for guidance. Religious or not, you should visit the place. I ‘ve seen the place a couple of times, usually during educational tours down south. Back then I didn’t know that the place had a pool inside. Riverstone Castle is a unique place you would want to visit. Pretend like Sansa Stark and walk around the castles corridors or be like Harry Potter and hide at the dungeons. It has a pool you can swim all night and you can be all royalty by playing at the garden. It’s a very nice place to spend overnight with friends and family. You wouldn’t want to share ghost stories while you’re here at night. It is freakishly dark outside and no houses or establishments nearby. 😉 You’re going to be trapped in an overnight scare if you don’t have car with you. So better keep the scary stories after you check out of the place. You should also not miss to try Argao’s torta. It’s authentically Argao’s specialty and they’re quite known for it. Once you’ve tasted it, you’ll see the difference of any other torta cake. There are many places you can hang out or stay for an overnight escapade in Dalaguete. Two places happens to be my personal favorite. Dakong Bato Resort is easy to locate as it is just along the main road of Dalaguete. Their room are quite spacious and comes in cheap rates. Their restaurant serves good food and even has a karaoke bar. With two swimming pools and of course the beach, you wouldn’t ran out of things to do. You can go kayaking or water biking and they even have a caving activities ( this I haven’t tried though) . If you are the kind of person who prefers to sit back and relax the view, you can stay in their viewing deck or sit at their swing in the mini garden that faces the ocean (I love that view). 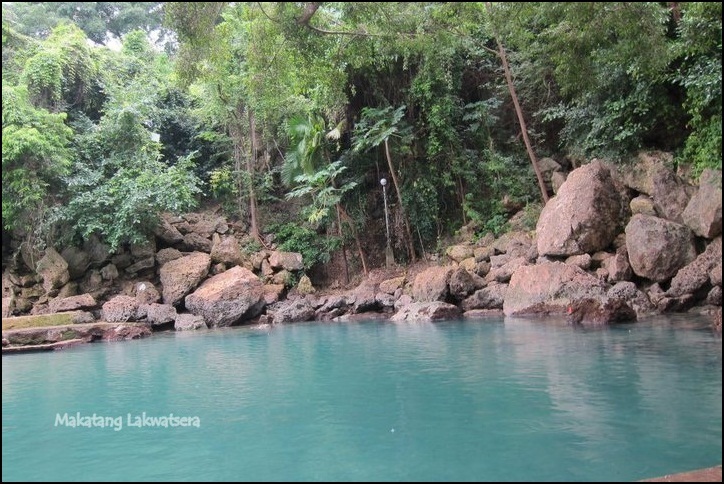 Obong Spring is also located in Dalaguete. Surrounding it are Dalakit trees, to which the municipality’s name was said to be derived from. Big rocks , tall trees,cold spring… The view of these attracts both local and foreign visitors to stay for a picnic or for a swim. You wouldn’t miss this place. Just before you arrive Alcoy, a signage to this area is visible from the main road. With just 10 pesos (which I hope hadn’t changed), packed lunch and a couple of friends, you weekend getaway is all solved. 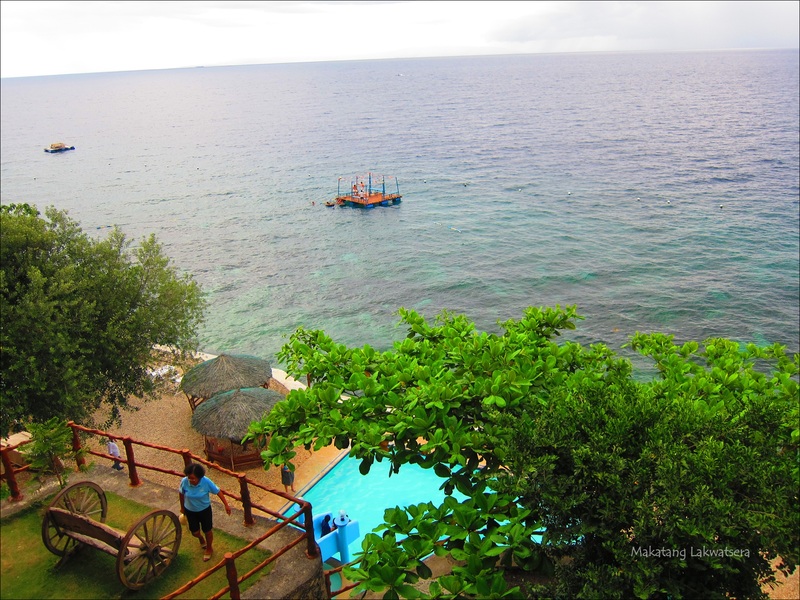 Alcoy is one my favorite places down south of Cebu. It’s fine white sand and crystal blue-turquoise waters is so captivating a day around the beach is just not enough for me. 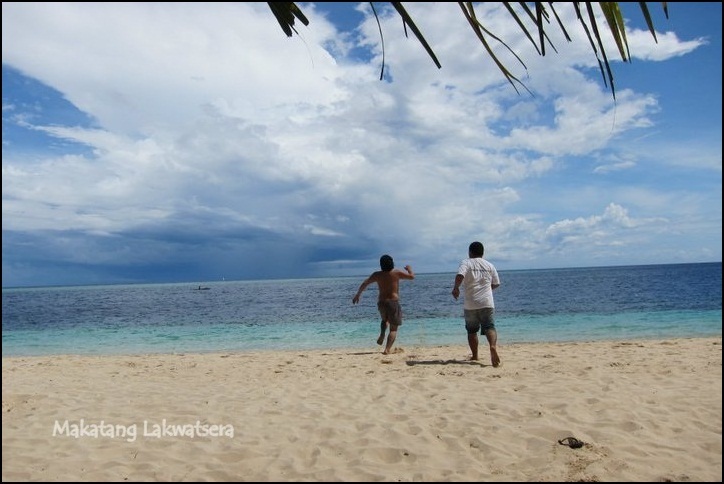 Visit Tingko Beach, it’s everybody’s favorite. Bring in some roasted pork belly, a few bottles of beer, 50 pieces of puso – match it with some reggae music to sing along with friends and you will have some great day sitting on the sand under a coconut tree in Tingko. There is this one place you want to stop by to dine. I can’t really remember when was the first time I’ve heard of the name BBB (Bodos Bamboo Bar )Resort and Restaurant but I’ve always wanted to visit it. So when I had a chance to do so, I took photos of almost every corner and every dish we had. The food was great, price was reasonable and their staff were very nice. The list does not stop here. There is more to come. Check out here the second part of our south bound virtual tour.